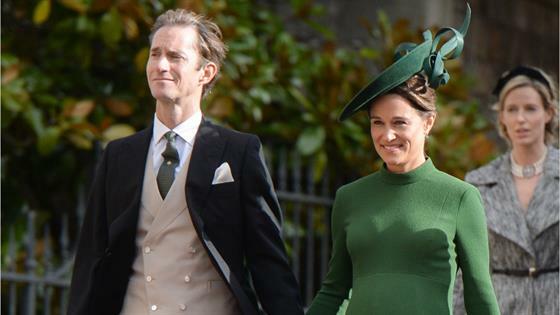 Pippa Middleton is back in the spotlight, this time as a new mom. The 35-year-old sister of Kate Middleton, Duchess of Cambridge, appeared at the Beating Hearts Ball in support of The British Heart Foundation at the Guildhall in London on Wednesday, marking her first official celebrity appearance since she gave birth to her and husband James Matthews' first child, son Arthur, in October. Pippa, who is the foundation's Honorary gala chair and ambassador, sported a chic look at the event; she arrived wearing a short sleeved, frilly red, black, brown and white printed Temperley London gown, paired with a red Emmy London clutch. Pippa has stepped out publicly since giving birth but this is her first official event. She was photographed in a bikini while vacationing with her husband and son in St. Barts over the New Year's holiday. The three were joined by her and Kate's brother James Middleton and his girlfriend Alizee Thevenet, and others. In December, Pippa and James were spotted heading to a church service in London.